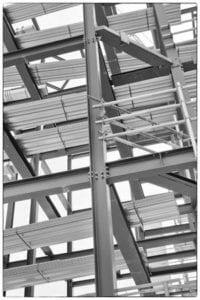 310 Stainless Steel Supplier | Stainless Shapes, Inc.
310 Stainless is an austenitic stainless steel that combines excellent high-temperature properties with good ductility and weldability. It is typically used for elevated temperature applications as its high chromium and nickel content provide solid corrosion resistance, excellent resistance to oxidation, and superior strength in temperatures up to 2100°F. Due to its high chromium and nickel content, it is superior to 304 or 309 stainless in most environments. Machinability – Heat uniformly at 1742 – 2192°F (950 – 1200°C). After hot forming a final anneal at 1832 – 2101°F (1000 – 1150°C) followed by rapid quenching is recommended. The alloy is quite ductile and forms in a manner very similar to 316. Cold forming of pieces with long-term exposure to high temperatures is not recommended since the alloy is subject to carbide precipitation and sigma phase precipitants. Corrosion Resistance – Excellent resistance to oxidation under mildly cyclic conditions through 2000°F characterizes 310. Because of its high chromium and medium nickel contents, 310 has good resistance to sulfidation and other forms of hot corrosion. 310 is widely used in moderately carburizing atmospheres such as encountered in petrochemical environments. Composition – The dominant chemicals in this stainless will be Chromium and Nickel. This means that it will have stellar corrosion resistance and good resistance to sulfidation. While about 50% will be held up by alternate metals, there will be a majority that will remain Iron for balance.